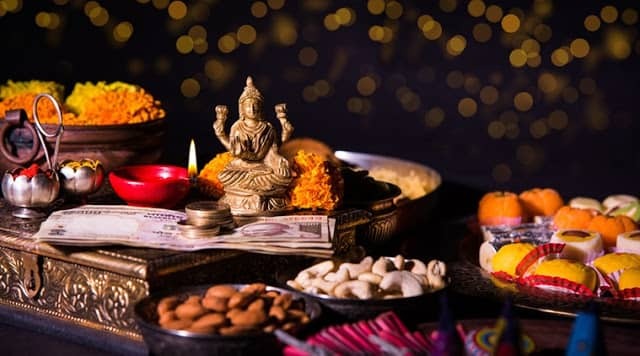 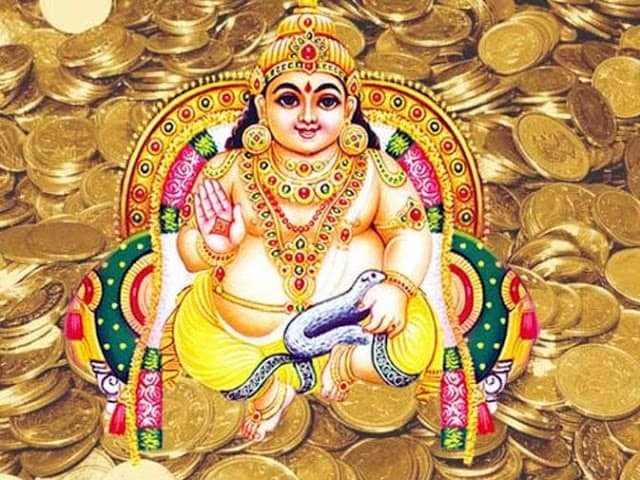 According to Drikpanchang, Lakshmi Poojan on Dhanteras should be done during Pradosh Kaal after sunset and approximately lasts for 2 hours and 24 minutes when Sthir Lagna (Fixed Signs) prevails, Sthir means fixed, not movable as in Sthira Lagna goddess Laxmi sits and stays in your home. 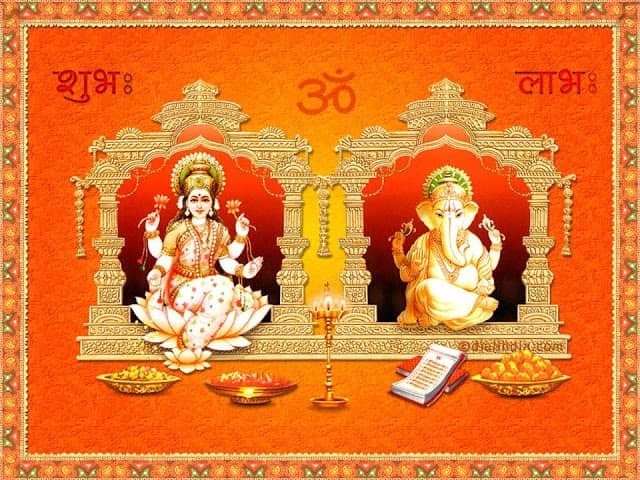 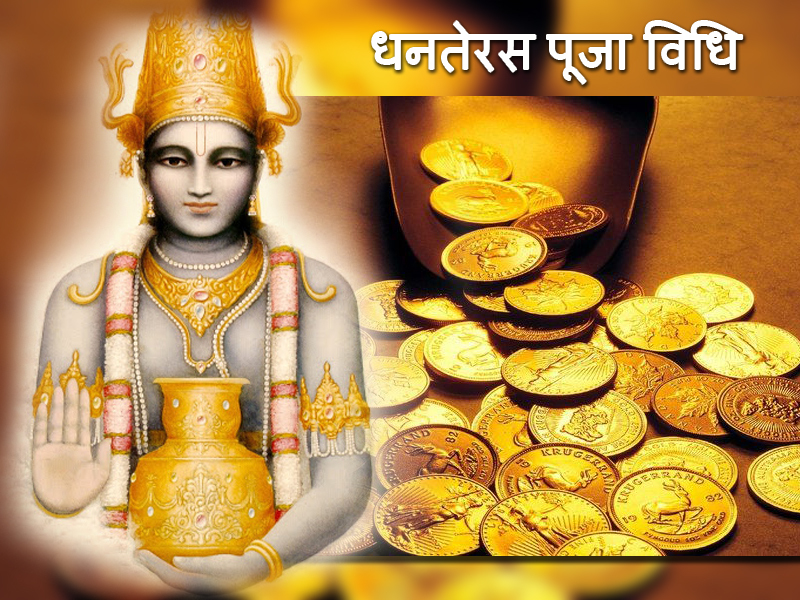 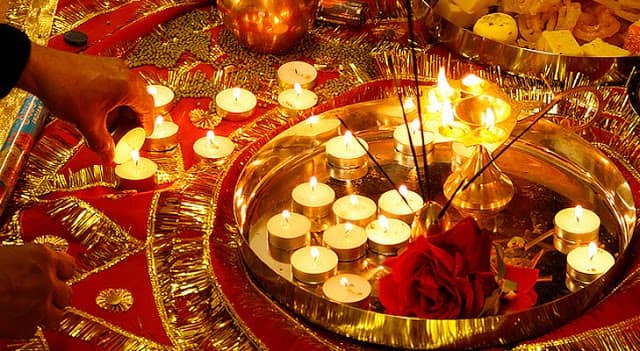 Today Sthira Lagna will rise after 19:21 (Taurus Lagna), hence this time is the best for Dhanteras Pujan for Laxmi poojan. 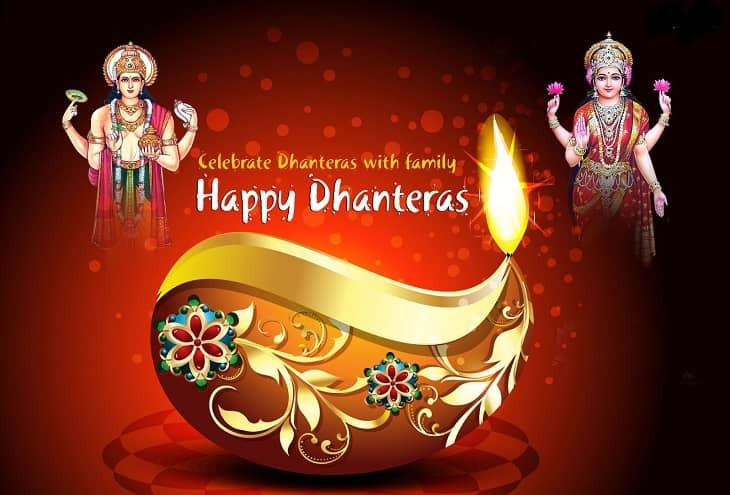 That’s why in Dhanteras first it involves worshipping of Lord Yama with Deep Daan on this day for the protection of one’s family members and loved ones.After worshipping Lord Yama one should Lit 13 earthen Lamps on the honor of Lord Yama in a southern direction with sesame oil outside the house in evening time in pradosh kaal. Below are the Step by Step Process first from Lighting earthen lamp in evening time for Lord Yama Deepam Daan. 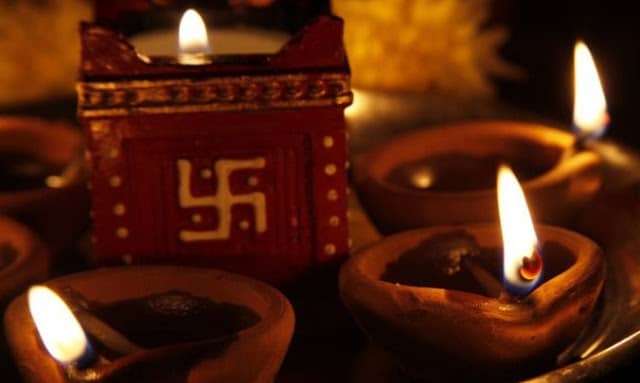 1.Show earthen lamp to him. 3.Offer scent to Lord Ganesha.